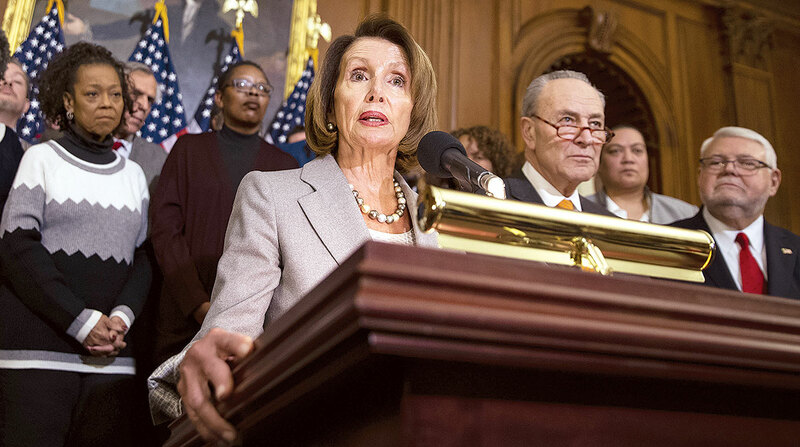 The Democratic leadership in the U.S. House of Representatives is ready to engage in meaningful discussions with the Trump White House on a comprehensive infrastructure bill, Speaker Nancy Pelosi said April 2. The Democrats’ infrastructure measure, she added, would include environmental provisions, as well as go beyond the White House’s 10-year, $1.5 trillion private sector-centric proposal that failed to connect with lawmakers last year. Pelosi (D-Calif.) also emphasized that about 75% of the conversations she has had with President Donald Trump have included infrastructure policy, to a certain extent. Transportation leaders within Pelosi’s caucus say an infrastructure bill is likely to be unveiled in May. Senate Republicans in control of the upper chamber have not said when they plan to take on infrastructure policy. During the State of the Union address, Trump called on Congress to advance a comprehensive infrastructure bill. Neither Democrats nor Republicans have agreed on an approach that would provide sustainable funding for a long-term bill. A significant number of projects nationwide are backed by the Highway Trust Fund, which relies on dwindling revenue from the federal fuel tax. That tax rate has remained unchanged since the early part of the Clinton administration, and analysts estimate the fund will be insolvent in a couple of years.